Brighten up your reception area with our LED backlit Counter-Top Display. Black trimmed with rounded corners and a 5000 lux illuminated face. This unit comes complete with your choice of 8.5 x 11 or 11x17 Bold Clip panel, white powder-coated stand, and 9 watt power supply. VM Counter-Top Dock - holds an 8.5"x11" or 11"x17" VM TWO CLIP - type illuminated display. Bold Clip Panel - Includes your choice of either 8.5x11 or 11x17 clip panel. Orientations - can be used in either landscape or portrait orientation. 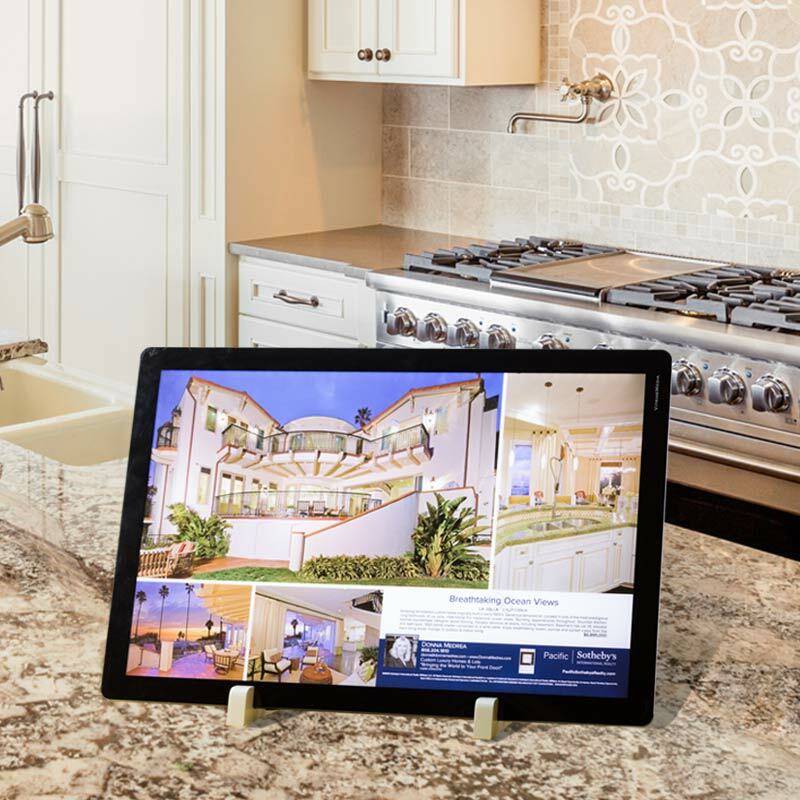 Show your other listings to attract new clients. B Format additional for 11"x17" $20.00 ea.